Unbelievable! I remember reading on 7summits.com that you took this trip. No idea this place held such beauty! is incredible, I allways wanted to see one of those senecios. Here in Chile we have many of them but not like tree, I invite you to see my flickr page. thanks for this picture. I would like to know more about your trip and wonderful place. Are you sharing as well the first female porters and female guide documentary; the main video cam and Eos which suffered from the latitude moist? Thank you that would be unique to see.. 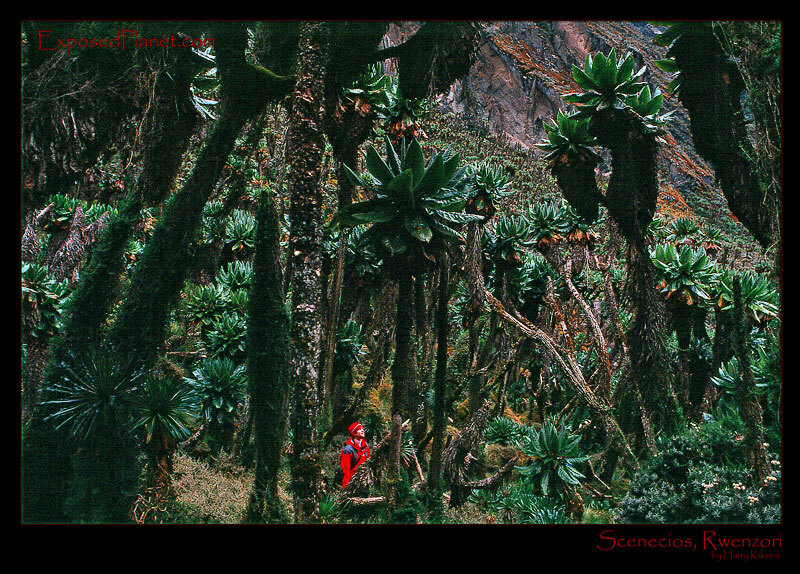 The story behind "Senecio trees in Rwenzori, Uganda, Africa"
This is at about 4000m altitude on one of the most impressive places I have ever visited, the Rwenzori in Uganda. The mountain range lies on the border of Uganda and Congo and is a Unesco World Heritage site. The highest point is Margherita Peak on Mt Stanley, with 5109m the third highest mountain in Africa, after Kilimanjaro and Mt Kenya. The trekking is absolutely amazing, rough trails through muddy fields, passing flora like this and maybe seeing the ice covered mountains. That is, if the ever-present clouds lift and if the ice has not yet melted yet, which it is doing at an alarming speed. Uganda has been plagued by wars from all sides, but since 2001, this area is safe again and definitely worth a visit. We made a documentary about the first female porters and female guide we employed, both the main video cam as well as my Eos 3 suffered from the altitude/moist and the slides are not as sharp as I would have liked, but maybe it also adds to the atmosphere of this wild place. Scanned from Provia.